Back on Market. No issues with house. Buyer just decided not to buy. 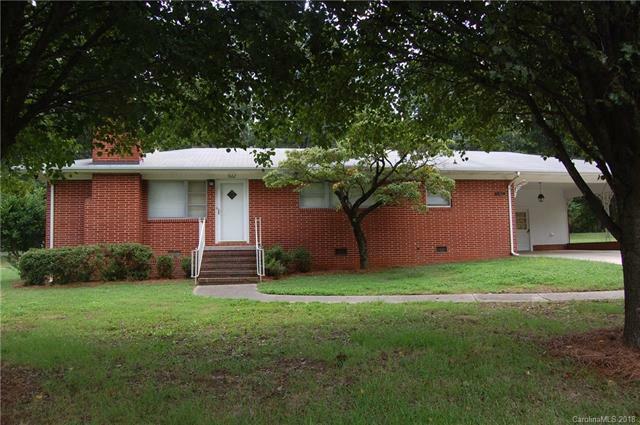 Very well cared for ranch house on large flat lot. Original wood floors plus wood floors also under carpet. Spacious living room which opens up into a dining area and kitchen with lots of cabinets. Fireplace with gas logs. Gas logs use propane tank. Large double carport that could be turned into a double garage. Patio with brick wall. Storage shed for your lawnmower etc. Per heir, owner changed heatpump to an oil fired furnace with central air. Buyers agent to verify heating system. Convenient to Kannapolis Pky and I-85 and Kannapolis which is being revitalized. You can move right in, update and flip or unpdate for your own home. No city taxes. No HOA.